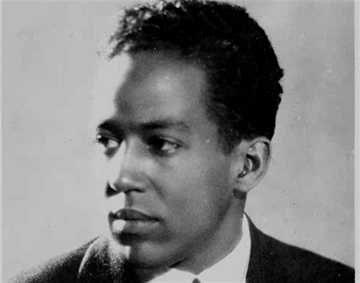 Two poems worked as prompts this time: The Invitation,” by Oriah Mountain Dreamer, and the poem, “Harlem,” by Langston Hughes. “The Invitation” is a live link; “Harlem” is below. What I wrote follows. We spend quite a few minutes on longing. How do you describe that word? An ache for something you desire, something you hope for, something you miss? “Is it like sadness?” Mai asks. “Yes,” I reply, “But it’s different. It contains elements of hope, and sometimes fondness. Desire. Wishfulness. Like losing something and wanting it back.” Their pens scribble out notes onto notebook paper. “Sometimes, you can long for something you’ve never had,” I offer, still struggling to define a feeling I’ve had so often in my life, but now cannot put into words. “Like a great love. Or a different body. A parent or a grandparent that you can’t really remember knowing.” Zhu-zhu has her head in her notebook, then looks up at me. “That’s it!” I say, remembering how on the first day of class I found her lack of eye contact and her bored expression a kind of silent rebellion. Now I see she is somewhat shy, and smart, and homesick. Lonely for anything familiar in this strange country. In the second week of class, I give them the poem, “Harlem,” by Langston Hughes. What happens to a dream deferred? “How many of you have read a poem in English before?” I ask. Not one hand goes up.”No one?” I am truly incredulous. “Well,” I say, “I’m honored to give you your first poem.” Does it dry up like a raisin in the sun? “Write about a dream you have,” I tell them. “Not a literal dream when you are sleeping, but a dream you have now, in your heart, while you are awake.” I ask myself the same question. What’s your dream? And I return to thoughts of teaching English in Mexico, of writing about architecture, of learning to Salsa. By the middle of the third week, I’m gathering ideas for how to get them to discuss their challenges and triumphs learning a new language. That Friday, we discuss Amy Tan’s essay, “Mother Tongue,” and we meet her mother on the white page. I ask them questions about what it feels like when we speak another language, and how I don’t find the words “broken” or “limited” helpful when we discuss how people who are still learning a new language sound. I use stories about my own struggles learning Spanish as a way to connect, to relate. “How’s the new class going?” Sonia writes on the fourth week, and I surprise myself. “I really love it,” I reply. “I’m learning so much.” I want to write: I am driving a car at night without headlights. That’s what it feels like. Every day I’m navigating my way through new territory. Thankfully, I have the enthusiasm of my students, the language of poets, and the beauty of words as my guideposts. Ah, wonderful, Chris! So beautifully told, and I love what you say about your students teaching you! So true, yes. And driving the car without headlights, as Doctorow said… you’re gonna make the whole trip that way, with the little bit of light shining ahead of you all on the journey! There is poetry and authenticity in your telling, and of course compassion–what great reading choices– and I love how examples of the small rewards the students are giving you to help you meet the teaching challenge. Inspirational, it is. Fascinating post, Chris. What a fantastic journey you are taking these new writers on … and it’s evident it’s a journey for you as well.